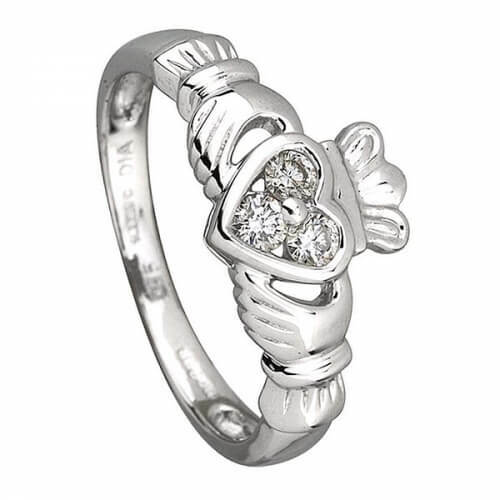 This women's white gold Claddagh ring has three sparkling diamonds set into the heart of the prominent Claddagh symbol. 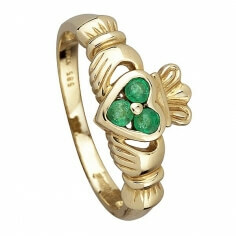 This commitment ring also works well as an Irish engagement ring. 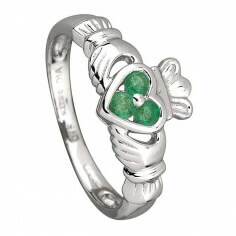 The Claddagh design represents love, loyalty and friendship - three values required for any successful relationship. Those same three values are represented again with the three glistening diamonds. Hallmarked for quality by the Dublin Assay Office.